This day trip to the Huerquehue National park, to the north-east of Pucón, gives you the opportunity to hike through beautiful ancient temperate rainforest. The first part of the hike is relatively steep, but well worth it for the view back, towards the valley and Caburga Lake. The mighty Nido del Aguila (Eagle’s Nest) waterfall is passed where, depending on the time of year, you might even spot Chile’s national flower in blossom: the dark red copihue. 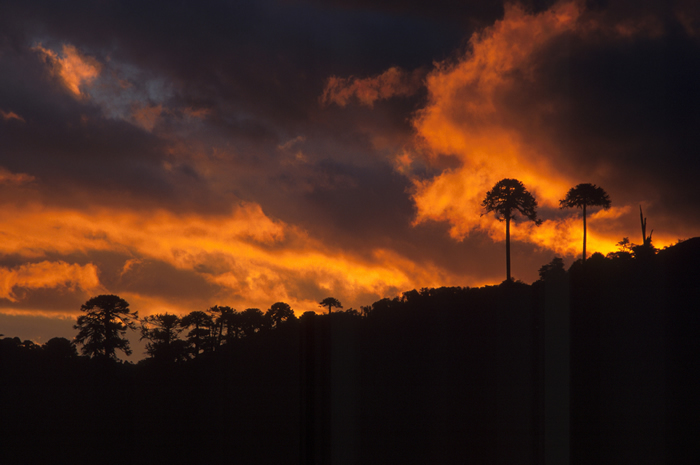 The forested track then leads from a broad mountain saddle from one lagoon to the next, each lined by araucarias. 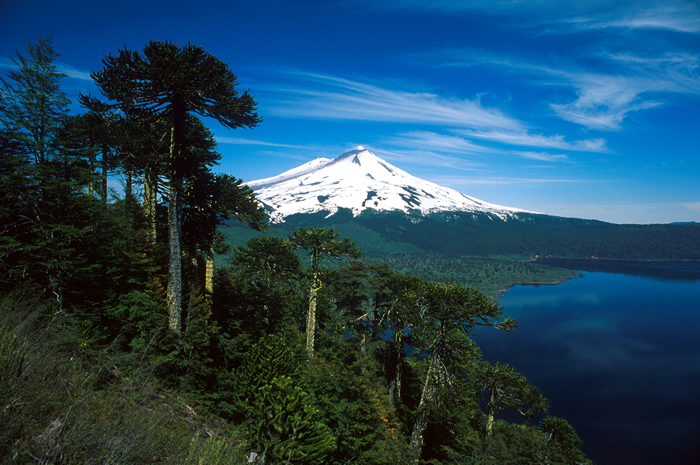 These trees – that have survived almost unchanged since the time of the dinosaurs – are native to Chile and give the local region its name. The hikes takes about 5 hours.